I’m lucky enough to have a really good life and I spend a lot of time enjoying myself. Since I left my job in press at Warner records I’ve been doing all manner of things to keep myself afloat whilst building up my own business, Final. I guess some may see an inability to concentrate on one thing a hindrance but I reckon it just makes multi-tasking a breeze. I would much rather have a load of different stuff on the go and bits and pieces on money coming in that to devote myself to the daily drudgery of office life. So the good thing is that as a freelancer, I am available to all sorts of things that crop up as I can shift my work around to suit myself. 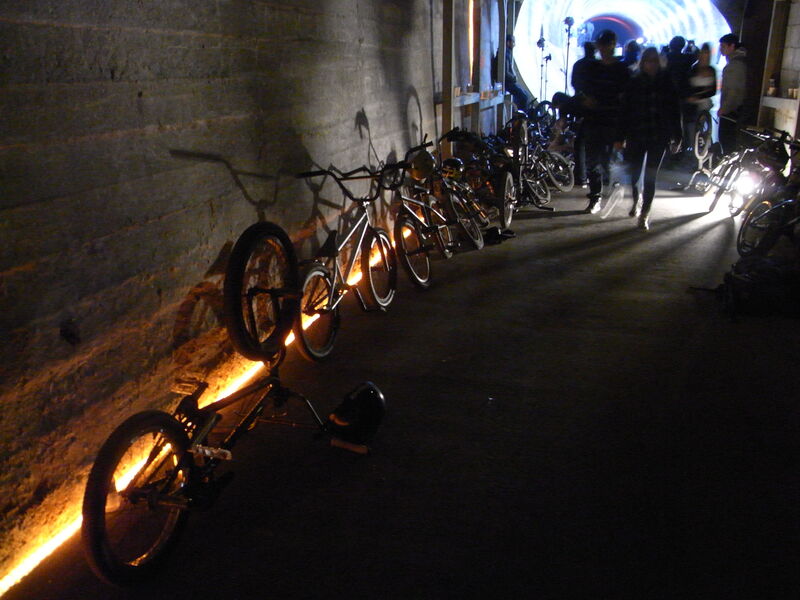 So, I ended doing a few days work at a super secret BMX jam in a tunnel near Portsmouth. Tunnel Jam was ace! I drove a few riders around then stood and watched some of the best in the world ride the course. X Games gold medallist Garrett Renolds was so so good, but I tell you what, the British riders were seriously amazing as well. 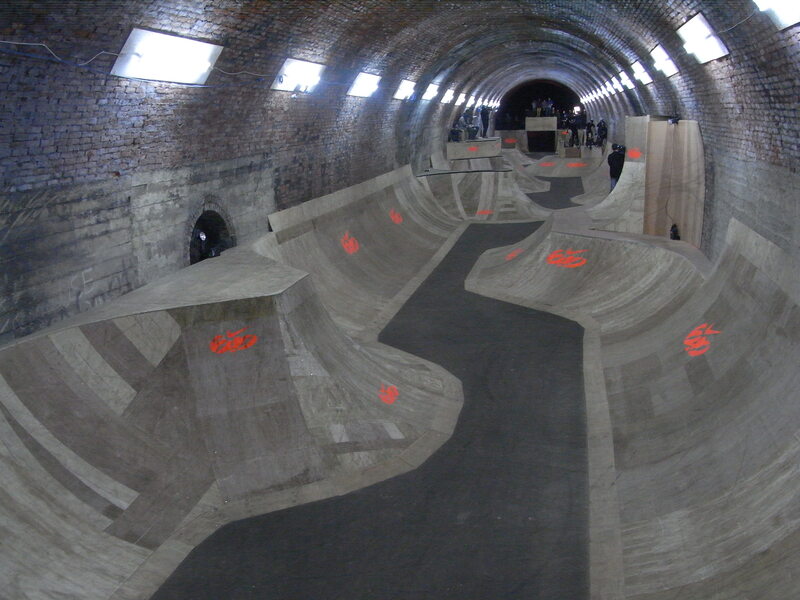 The course was amazing; super fast and tight and some riders nearly touched the ceiling out of the quarter. The good thing is that NIKE paid to have the park built in the tunnel and are leaving it there for the locals to enjoy. Lucky them. Tell you what though, I was standing on top of the viewing platform watching them go off and just thinking how lucky I was myself to be there watching. Having said that it really made me want to ride and I was down there for a few days without a bike as there wasn’t enough room in the car to take one! Pretty frustrating! Couldn’t wait to ride when I got back plus I just heard one of my best friends, Sam, is getting a BMX this week too. Now we can get to grips with BMXs together. SWEET. This has to be one of the sickest place ever.